October 7, 1998: Season 2 of Dawson's Creek kicked off. The headline is "They Kissed: Now What?" though it more accurately should have been "They Kissed: So What?" Now's also a time to mention that we added some new Web Centers, and kept messing around with their order in the column. 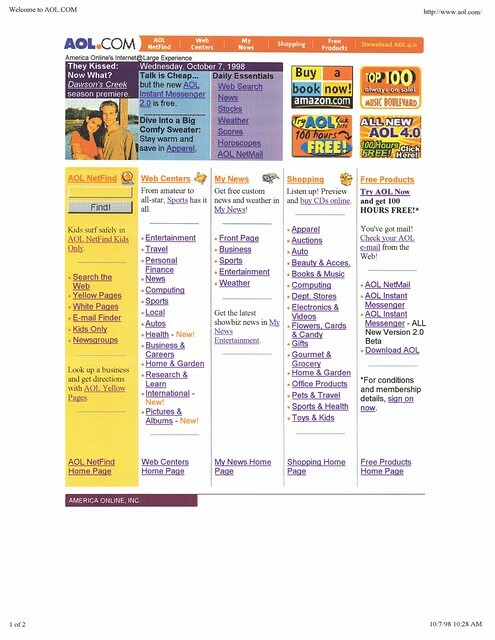 There's an International one, as well as Pictures & Albums, which I think was the AOL.com home for our partnership with Kodak, You've Got Pictures (YGP).